Yesterday we had a beautiful, long cool day of constant rain! 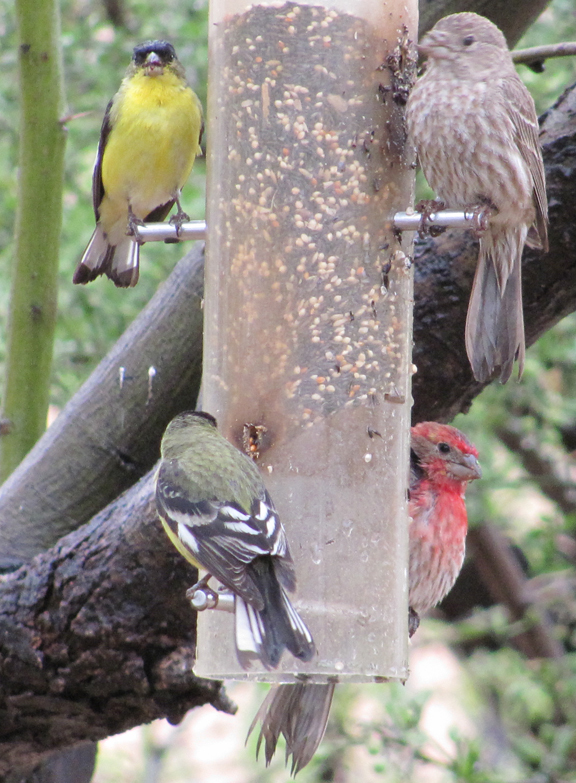 Even on a gray day of drizzle, the yard sprang to life with a bounty of birds….they must have been happy for a brief refreshing break before the onset off the summer heat! Well, this guy didn’t look too happy! 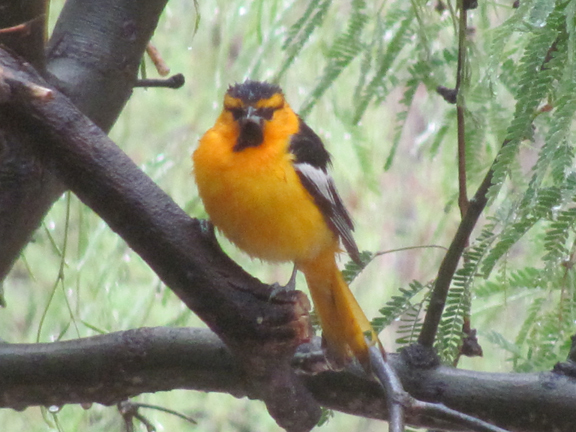 Maybe because he was not the center of attention on this day….We counted at least 10 orioles (about 5 males and 5 females) We have a few different varieties of Orioles here…the Bullocks (pictured above), the Hooded and we even saw a black headed Baltimore Oriole! They have been hanging around for the past couple of weeks. The birds had taken over the yard! You could see splashes of their colors everywhere against the gray, rainy backdrop! 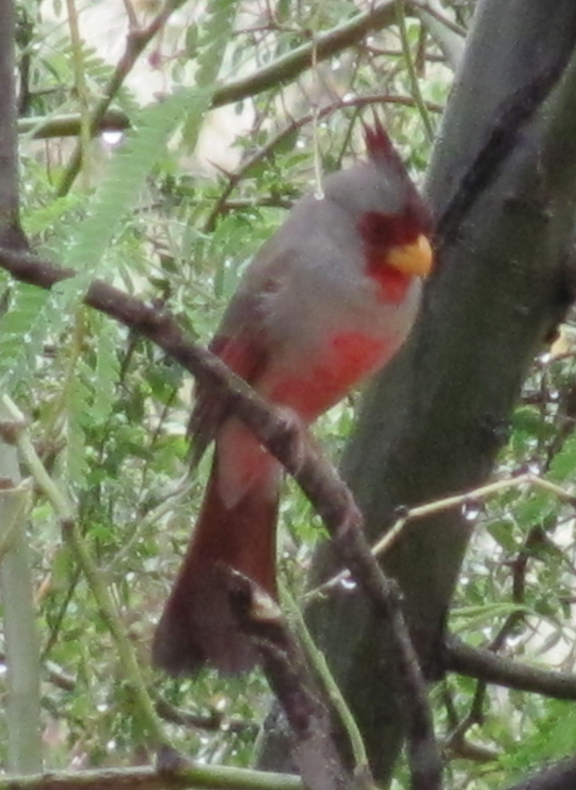 The bird feeders seemed to be the place to hang out! 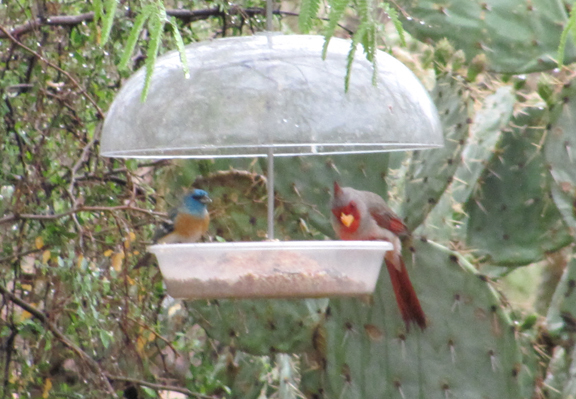 This was the perfect feeder for a rainy day snack! It even attracted a Lazuli Bunting! An incredibly rare sight in Todd’s Backyard! 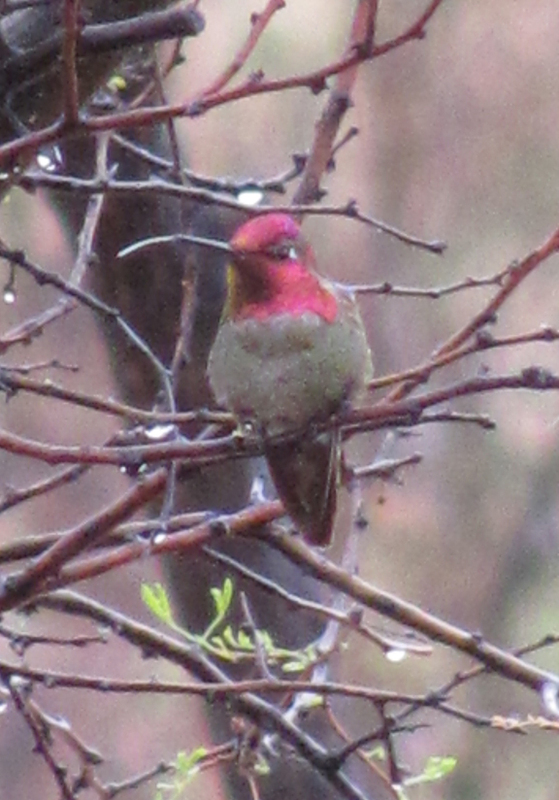 Even the Hummingbirds endured the wet weather to model for the camera! 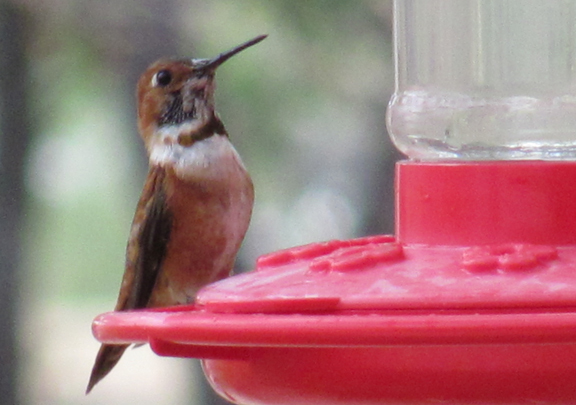 This Rufous has been a hard one to get a good shot of! 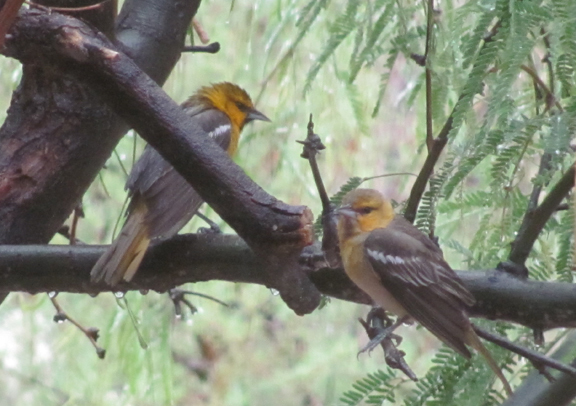 It’s amazing that these seemingly fragile little birds can be so active in the rain! 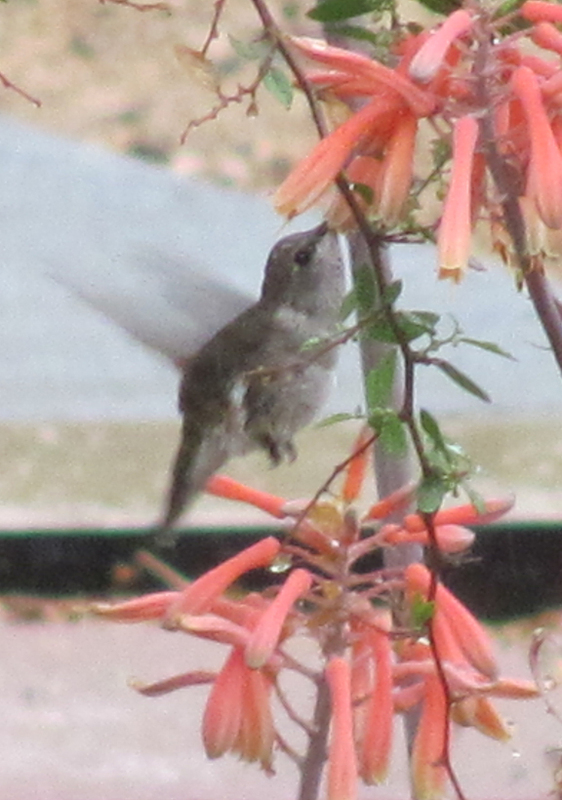 I do believe this little guy is sticking his tongue out to catch a drink! We have never seen that before! We probably won’t see a day long rain like this for while! It made for the perfect Saturday to sit back and enjoy nature’s show and relish the cool weather! It would have been a great day to take advantage of the hot tub if it hadn’t been raining. We’re not quite as adventurous as this guy! 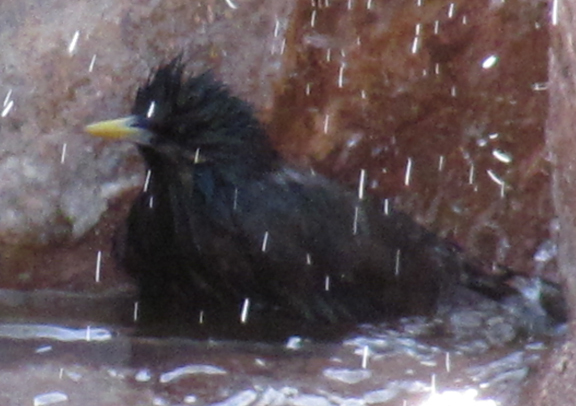 This Starling just couldn’t get wet enough! Crazy bird! So, today we woke up to a freshly quenched and dazzling desert. The sun shining and the birds blending back in to their daily ‘dry’ routine…. Nice one, Rondi. Lovely to see the Bunting. I don’t think I have ever seen so many Orioles as we have this year! They are everywhere, and so beautiful.